The team at SASYSS is formed by professionals with an extensive background in the luxury yachting industry. This experience allows them to offer clients a one stop shop providing timely, efficient logistical and troubleshooting services. Captain Tomas Miranda the general manager at SASYSS has worked for sixteen years in the private and charter superyacht industry. Tomas has sailed over 1000,000 miles as a Yacht Master Ocean and worked as a agent for six years. 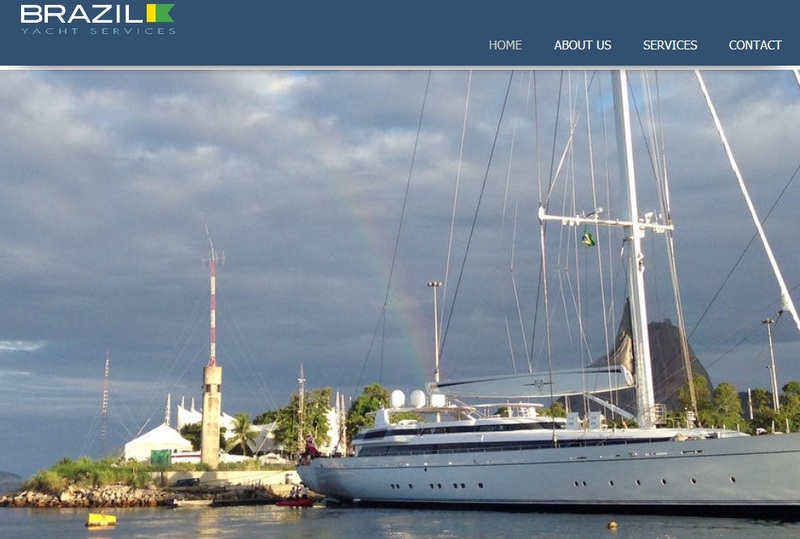 As the only specialized SuperYacht company in Brazil, Brazil Yacht Services has provided services to the majority of superyachts visiting Brazilian waters in the last three years. Sail and power 24 to 120m+ including the Amazon, Fernado de Noronha, North East Brazil, Rio de Janeiro and Ilha Grande Areas, IIhabela and further south. The team at Brazil Yacht Services is made up of seasoned yachting professionals with over 40 years of worldwide experience. Owen Clarke Design LLP is recognised as being at the leading edge of performance sailboat design. OCD are particularly known as pioneers in the field of canting, lifting, and lifting/canting keels for racing and cruising boats. Their design portfolio spans yachts from the 6.5m Mini Transat class to a range of superyacht cruising and racing designs. The company provides a full range of naval architecture, yacht design, engineering, project and consultancy services for both new commissions and the refit of large sailing yachts. Owners, project managers shipyards, legal and professional bodies are supported locally by offices in the UK, New Zealand and through associates in the United States. OCD’s designs have been styled by Allen Clarke, who having completed three years studying yacht design at the world famous Southampton Institute worked for the largest interior design company in the West of England before forming Owen Clarke Design with Merfyn Owen in 1991. Allen designed OCD’s first large cruising yacht, Spirit of Adventure, a 65’ performance blue water cruiser built by Marten Yachts, New Zealand. Merfyn Owen is a graduate of University College London, a Fellow of the Royal Institution of Naval Architects, a ‘double’ Cape Horner and former round the world race boat skipper himself on the 96/97 BT Global Challenge. In 2002 he led a sailing/climbing expedition north of the Arctic Circle to Kangerlussuaq Fjord on the east coast of Greenland. He is OCD’s senior naval architect and to date his responsibilities have been mainly focused on the office’s race boat designs, including running the research and development programs associated with grand prix projects. Clay Oliver, co-designer of OCD’s last three Open 60’s is an American naval architect based in Annapolis who also brings to the group his experience gained at the Farr office and subsequently principal designer for Team New Zealand and most lately designer for the British Americas Cup Challenger , Ben Aislie Racing. He is co-designer of Mari Cha 4, and the 100’ maxis Genuine Risk and the winner of the 2011 Sydney-Hobart, Loyal (ex Maximus). The fourth designer and lynch-pin of the ‘big boat’ design team is Tim Sadler who runs the office in New Zealand. Before he joined Owen Clarke in 2001 he spent the previous decade working at Marten Yachts and Sensation Yachts, where he was the design and project engineer on new builds including the 147’ ketch, Mari Cha 3.